A Mysterious Review of The Coal Black Asphalt Tomb by David Handler. A Berger and Mitry Mystery. Publisher synopsis: The historic New England village of Dorset has actually elected a living, breathing woman as its First Selectman. And now she’s about to undertake the Historic District’s biggest public works project in a generation — the widening and re-grading of Dorset Street. The job has needed doing for ages but the previous First Selectman, Bob Paffin, always opposed it. So did a lot of Dorset’s blue-blooded old guard. The long put-off dig uncovers a body buried underneath the pavement in front of the Congregational Church. It belongs to Lt. Lance Paffin, Bob Paffin’s older brother, a dashing U.S. Navy flyer who went missing off his sailboat the night of the country club’s spring dance more than forty years ago. Everyone had assumed he just left town. But now it's clear Lance has been under Dorset Street this whole time, and that he was murdered. Des and Mitch soon discover that there are deep, dark secrets surrounding Dorset's elite, and some very distinguished careers have been built on lies. 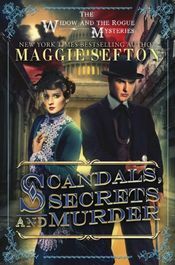 Scandals, Secrets, and Murder by Maggie Sefton is the first in a new series by the author of the Kelly Flynn, Knitting and Molly Malone mysteries. Powerful and corrupt U.S. Senator Horace Chester is stabbed to death in a Murder Bay brothel, wrapped in the arms of his evening's entertainment. His assailant escapes into the crush of unwashed bodies filling the streets of 1890 Washington's notorious red light district — just a few blocks from the President's House. Amanda Duncan, young Washington widow, tries to ignore the clairvoyant visions that flash before her eyes. She couldn't save her own family, so maybe her visions can help others. Now, Amanda deliberately treads where no respectable lady would dare. This latest vision was most troubling. She saw a man stabbed to death by a shadowy assailant and a young girl screaming. Devlin Burke, English investor and sometime sleuth, is in Washington on family business and to rescue his nephew Freddie who's gone bankrupt in one of Sen. Chester's investment schemes. In a fit of rage, Freddie attacked Chester in a crowded Capitol Hill hallway only days before the senator's murder. Freddie has no alibi and is now the police inspector's prime suspect. Devlin and Amanda join forces in a search to find the real killer, which takes them from the Capital's poshest salons into the crime-infested streets of Murder Bay. Devlin's sleuthing instincts and Amanda's psychic detection lead them ever closer to the truth. But the closer they approach, the more desperate the killer becomes — -and the more dangerous. Amazon confirmed in a press release today the news first reported a couple of weeks ago … that it has ordered six original series from pilots to full seasons. "We had a tremendous response to Amazon Studios' latest pilots — in fact, double the number of customers watched these pilots compared to our first season and they posted thousands of heartfelt reviews with pleas for us to continue these shows," said Roy Price, Director of Amazon Studios. "Now the fun really begins — Amazon will be working with some of the most talented casts and creators in the business to bring six new shows exclusively to tens of millions of Prime members worldwide. These series, along with our summer kids programming, will give customers a lot of viewing choices." One of these new series is Bosch, based on a character created by crime novelist Michael Connelly. We watched the pilot and it is, in a word, excellent. Connelly and Eric Overmyer will co-write the series, which features Titus Welliver, Annie Wersching and Jamie Hector. Henrik Bastin and Fabrik Entertainment are producing. "I'm excited beyond words," said Connelly. "This has been such a long time coming. But by waiting I think the right people and partnerships came together at the right time: Amazon and its creative team; ditto Fabrik Entertainment, Henrik Bastin, Eric Overmyer and of course, Titus Welliver [as Harry Bosch]. We're now off to make something really good." 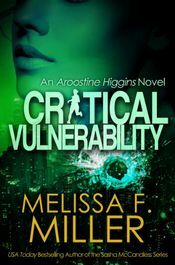 Critical Vulnerability by Melissa F. Miller is a companion legal thriller to the author's Sasha McCandless series, and introduces Assistant U.S. Attorney Aroostine Higgins. Governments, hospitals, and industry use computerized industrial control systems to remotely monitor and control elevators, electricity, alarms, surveillance systems, and more. It's convenient and efficient. And potentially deadly. Assistant U.S. Attorney Aroostine Higgins put her personal life on hold to join the Department of Justice's elite Criminal Division. Now she's prosecuting two men accused of attempting to bribe a foreign government official. Her pretrial motion vanishes from the federal court's electronic docketing system. Her apartment catches fire. Routine dental surgery turns into a near-death experience. When Aroostine's past comes crashing into her present, her most critical vulnerability is exploited and she finally admits she isn't simply suffering a string of bad luck. An unseen enemy is determined to destroy her — and the only man she's ever loved — unless she finds him first. 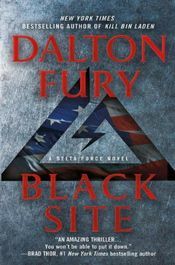 MystereBooks is pleased to feature Black Site by Dalton Fury, now available at a special price, courtesy of the publisher, St. Martin's Press. The ebook format of this title was priced at $2.99 from the listed vendors (below) as of the date and time of this post (03/31/2014 at 4:00 PM ET). Prices are subject to change without notice. The price displayed on the vendor website at the time of purchase will be the price paid for the book. Please confirm the price of the book before completing your transaction. Meet Kolt Raynor. A Delta Force operator and one-time American hero, he is still trying to make sense of his life — and duty — after a secret mission gone bad. Three years ago, in the mountains of Pakistan, Raynor made a split-second decision to disobey orders — one that got some of his teammates killed and the rest captured. Now he's been given a second chance to do right by his country, his men, and himself. But Raynor's shot at redemption comes at a price. A shadowy group of former colleagues has asked Raynor to return, alone, to Pakistan's badlands. His assignment seems clear: find his missing men and bring them home. What Raynor never expected was to uncover a sinister al Qaeda plot to capture a Black Site — a secret U.S.­­ prison — and destabilize the region. Meanwhile, a ruthless, unknown enemy is on his trail … and he will stop at nothing to make sure that Raynor's mission is not accomplished. 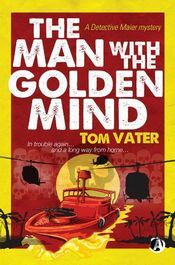 Today's featured paperback original mystery title, scheduled to be published during March 2014 by Exhibit A, is The Man with the Golden Mind by Tom Vater. 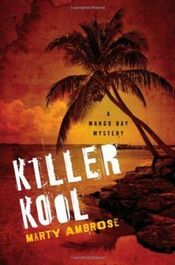 For a list of more new paperback mysteries, thrillers, and novels of suspense published this month, visit our Mystery Bookshelf page for March 2014. For hardcover titles, visit New Mysteries for a selection of books published during March 2014. Julia Rendel asks Maier to investigate the twenty-five year old murder of her father, an East German cultural attaché who was killed near a fabled CIA airbase in central Laos in 1976. But before the detective can set off, his client is kidnapped right out of his arms. Maier follows Julia's trail to the Laotian capital Vientiane, where he learns different parties, including his missing client are searching for a legendary CIA file crammed with Cold War secrets. But the real prize is the file's author, a man codenamed Weltmeister, a former US and Vietnamese spy and assassin no one has seen for a quarter century. 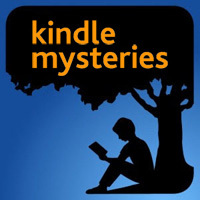 Amazon is offering 80 Kindle Books for $1.99 has part of a promotion that extends until April 16th, 2014. Most of these 80 books are mystery, thriller or suspense titles, and we are pleased to feature one of them, below. It's October on Coral Island, and Mallie Monroe is learning how to multitask: she's juggling two men, Nick and Cole; helping her office pal, Sandy, plan a fall wedding; and trying to find a way to adjust to her new assignment as the Observer's food critic.The summer doldrums are officially over as the island prepares for cooler weather and its first Taste of the Island. Unfortunately, Madame Geri, the island's freelance psychic, appears at the newspaper declaring that the upcoming nuptials of her son, Jimmy, and Sandy are in jeopardy because of a possible killer on the loose. Mallie knows where to start: Carlos Santini has recently died from an apparent heart attack, and everyone believes that his brother, Chef Marco, was somehow involved. So Mallie teams up with Madame Geri to add another task to her list: solve the crime and make certain that the wedding doesn't end up on a canceled list. 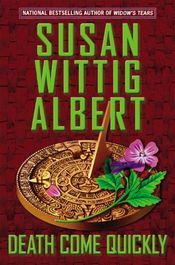 Today's new hardcover mystery title, scheduled to be published during April 2014 by Berkley Hardcover, is Death Come Quickly by Susan Wittig Albert. For a list of more new hardcover mysteries published this month, visit our New Mysteries page for April 2014. 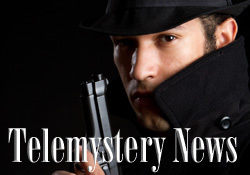 For new paperback mysteries, visit The Mystery Bookshelf where a selection of April 2014 mysteries, novels of suspense, and thrillers are shelved. When China's and Ruby's friend Karen Prior is mugged in a mall parking lot and dies a few days later, China begins to suspect that her friend's death was not a random assault. Karen was a filmmaker supervising a student documentary about the fifteen-year-old murder of a woman named Christine Morris and the acquittal of the man accused of the crime. Is it possible that the same person who killed Christine Morris targeted Karen? Delving into the cold case, China learns the motive for the first murder may be related to a valuable collection of Mexican art. Enlisting the help of her San Antonio lawyer friend Justine Wyzinski — aka the Whiz — China is determined to track down the murderer. But is she painting herself into a corner from which there's no escape? 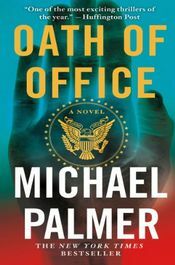 MystereBooks is pleased to feature Oath of Office by Michael Palmer, now available at a special price, courtesy of the publisher, St. Martin's Press. The ebook format of this title was priced at $2.99 from the listed vendors (below) as of the date and time of this post (03/31/2014 at 2:00 PM ET). Prices are subject to change without notice. The price displayed on the vendor website at the time of purchase will be the price paid for the book. Please confirm the price of the book before completing your transaction. What if a well respected doctor inexplicably goes on a murderous rampage? When Dr. John Meacham goes on a shooting spree the office, his business partner, staff, and two patients are killed in the bloodbath. Then Meacham turns the gun on himself. The blame falls on Dr. Lou Welcome. Welcome worked with Meacham years before as a counselor after John's medical license had been revoked for drug addiction. Lou knew that John was an excellent doctor and deserved to be practicing medicine and fought hard for his license to be restored. After hearing the news of the violent outburst, Lou is in shock like everyone else, but mostly he's incredulous. And when he begins to look into it further, the terrifying evidence he finds takes him down a path to an unspeakable conspiracy that seems to lead directly to the White House and those in the highest positions of power. Kalli's a shy, slightly OCD, mind-reading fashion designer with a prissy calico cat and hand sanitizer always at the ready. Nik's a loud and boisterous half-Greek detective with a big, sloppy St. Bernard and a devil-may-care attitude. In other words, Kalliope Ballas and Nikos Stevens are not a good match, despite the opinions of Kalli's overbearing mother and the rest of her tight-knit adoptive Greek family. 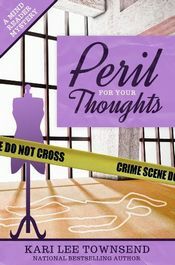 So when a murder investigation brings the mismatched pair together and Kalli must use her newfound ability to clear her best friend's name, how can she explain how she knows what she knows without confessing her mind-reading ability to Nik? 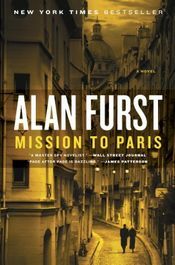 MystereBooks is pleased to feature Mission To Paris by Alan Furst, now available at a special price, courtesy of the publisher, Random House. The ebook format of this title was priced at $1.99 from the listed vendors (below) as of the date and time of this post (03/31/2014 at 1:00 PM ET). Prices are subject to change without notice. The price displayed on the vendor website at the time of purchase will be the price paid for the book. Please confirm the price of the book before completing your transaction. It is the late summer of 1938, Europe is about to explode, the Hollywood film star Fredric Stahl is on his way to Paris to make a movie for Paramount France. The Nazis know he's coming — a secret bureau within the Reich Foreign Ministry has for years been waging political warfare against France, using bribery, intimidation, and corrupt newspapers to weaken French morale and degrade France's will to defend herself. For their purposes, Fredric Stahl is a perfect agent of influence, and they attack him. What they don't know is that Stahl, horrified by the Nazi war on Jews and intellectuals, has become part of an informal spy service being run out of the American embassy in Paris. 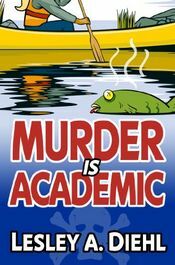 Murder Is Academic by Lesley A. Diehl introduces psychology professor Laura Murphy in a new series of academic mysteries. Laura Murphy, psychology professor, thinks there's nothing she likes better than coffee and donuts on a summer morning until she says yes to dinner with a Canadian biker and finds herself and her date suspects in the murder of her college's president. Laura's friend, the detective assigned the case, asks her to help him find out who on the small upstate New York college campus may be a killer. The murder appears to be wrapped up in some unsavory happenings on the lake where Laura lives. A fish kill and raw sewage seeping into the water along with the apparent drowning suicide of a faculty member complicate the hunt for the killer. And then things become personal. The killer makes a threatening phone call to Laura. With a tornado bearing down on the area and the killer intent upon silencing her, Laura's sleuthing work may come too late to save her and her biker from a watery grave. Telemystery, your source for one of the most comprehensive listings of crime drama, amateur sleuth, private investigator, mystery and suspense television series, mini-series and made-for-television movies, now available on or coming soon to DVD, Blu-ray disc, or Video-on-Demand, is profiling three series from our site being released this week. 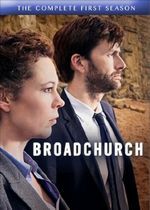 Two detectives — the strong yet compassionate Detective Sergeant Ellie Miller (Olivia Colman), and the by-the-book Detective Inspector Alec Hardy (David Tennant) — are brought together to solve the murder of an eleven year-old boy on a picturesque beach in a small coastal town. Under the glare of the media spotlight, the two race to find the killer, while the clock ticks and the mystery deepens in this ITV series that is being adapted for US television by Fox as Gracepoint. 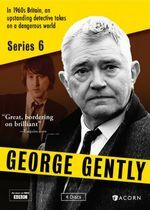 Detective Chief Inspector George Gently (Martin Shaw) returns to the job six months after he and his sergeant, John Bacchus (Lee Ingleby), were gravely injured in the line of duty. Both officers appear to be on the mend, physically at least. But while Gently is intent on putting the incident behind him, Bacchus clearly is not-and shocks his boss by submitting a letter of resignation. At a time of changing attitudes and values in Britain, Gently and Bacchus are undergoing transitions of their own. In these four new episodes set in 1969, Bacchus lets a new constable's (Lisa McGrillis) modern ways of policing get under his skin, while an aging Gently finds himself more and more adrift in a rapidly evolving world. 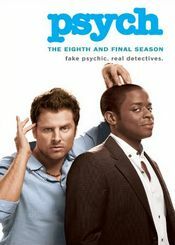 Case-cracking "psychic" detective Shawn Spencer (James Roday) and his best friend Burton "Gus" Guster (Dulé Hill) have their hands full getting to the bottom of crime-filled conundrums around Santa Barbara. From a prestigious paranormal police consultant convention to zombie nightmares, Shawn and Gus need all the help they can get as new hijinks and tests arise for your favorite sleuths in this eighth and final season of this USA Network series.